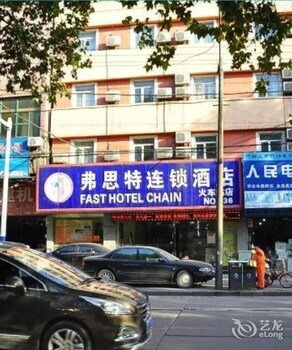 When you stay at Fast Hotel Chain - Ma'anshan Railway Station in Ma'anshan, you'll be 11 minutes by car from Jiashan Park. Free self parking is available onsite. With a stay at Zhongjin Holiday Hotel Qingdao in Qingdao (Shinan District), you'll be a 1-minute drive from Qingdao University and 8 minutes from Hisense Plaza. Free self parking is available onsite. Located in Sanya, Paxton International Holiday Apartment is within a 10-minute drive of Sanya Bay and Coconut Dream Corridor. A roundtrip airport shuttle is provided at no charge.